The CSFA booth was full of CA Grown Flowers during the state fair. CCFC was a sponsor of CSFA’s efforts. 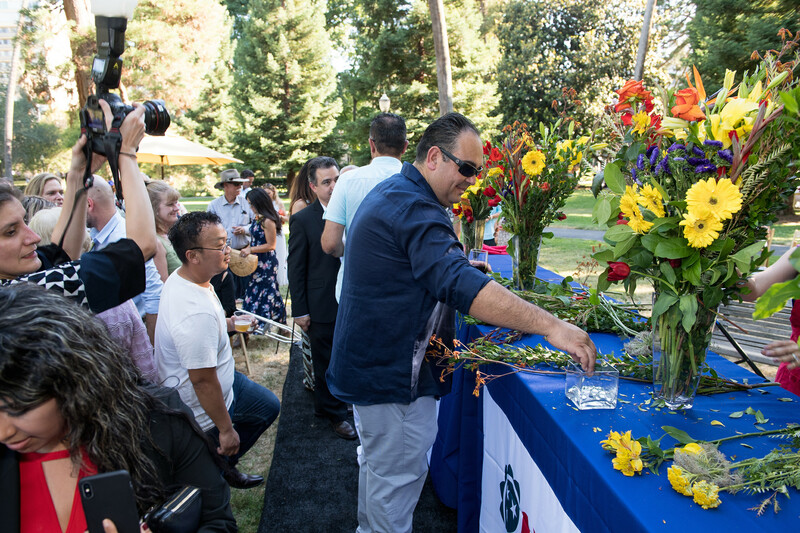 The fair’s run was kicked off at the California State Fair Gala on June 21 that featured flowers and foliage donated by California Pajarosa, Dramm & Echter, Glad-A-Way, Holland America Flowers, Joseph & Sons, Mellano & Company, Myriad Flowers International, Resendiz Brothers Protea Growers and Sun Valley Floral Farms. Lizet Arnold of Bloem Decor in Sacramento volunteered as a designer. Floral designers from throughout the state donated their time to help provide designs for the booth. 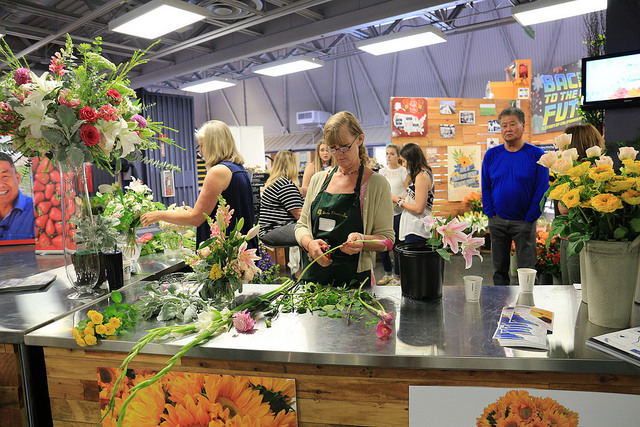 For more than two weeks, fair visitors learned about the value of buying California Grown Flowers and visiting local florists as they viewed floral arrangements at the CSFA booth. Visitors were also provided with post cards and other information about California Grown Flowers that was provided by the California Cut Flower Commission (CCFC). California flower farmers Robert Kitayama of Kitayama Brothers, Janet Louie of Green Valley Floral and Hannah Muller of Full Belly Farm also made appearances at the booth each weekend of the fair. Allan Nishita of FloraFresh (back right) along with Mary Espe help provide the logistics necessary to help bring the CSFA booth together each year. And flowers were the focus of the fair on July 22 which was declared Flower Day at the State Fair for the fourth year in a row. 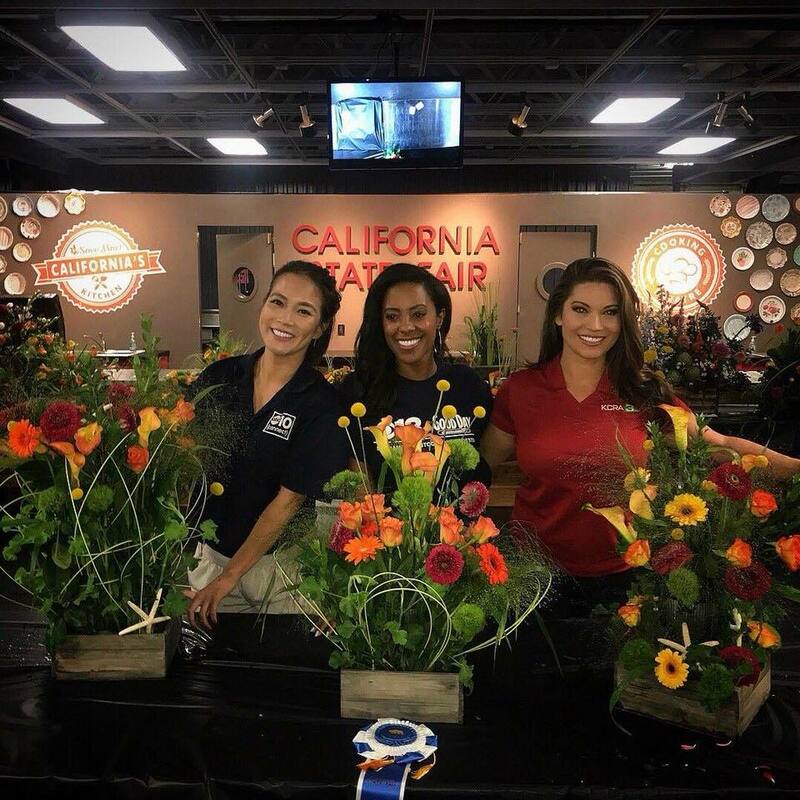 CSFA Associate Director, Karli Quinn, spearheaded the Celebrity Floral Design Competition featuring three local news personalities. This event drew a crowd and there was a friendly rivalry among the contestants. Frances Wang, ABC 10, Ashley Williams, CBS 13, and Lisa Gonzales, KCRA 3 competed in this highly entertaining competition with the judges proclaiming each designer a winner with the overall winner Ashley Williams. 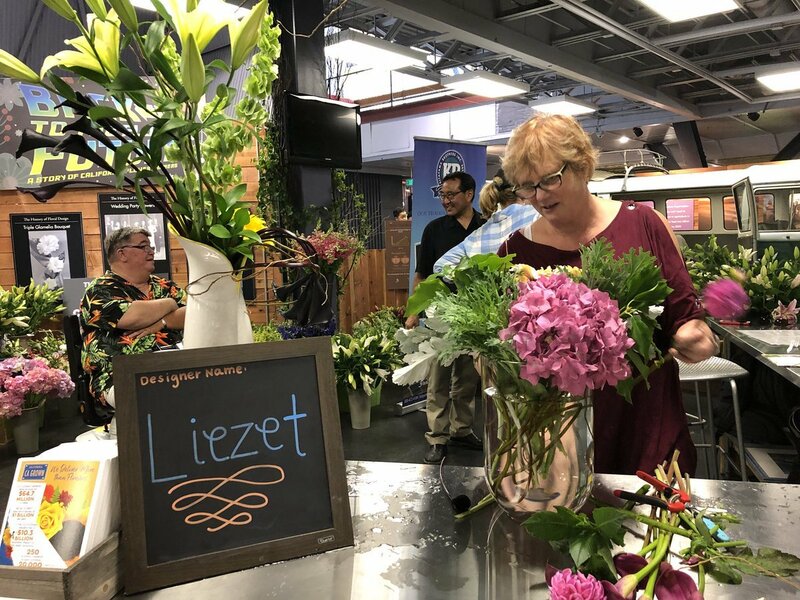 In a love tribute, extra donated floral product was given to The Petal Connection, a nonprofit organization whose mission is to connect beautiful floral bouquets with local hospice patients and seniors in need of a little joy. Assemblywoman Monique Limón takes the trophy from California Cut Flower Commission CEO and Ambassador Kasey Cronquist, winning this year’s Floral Design Challenge. Photo by Eye Connoisseur Photography. 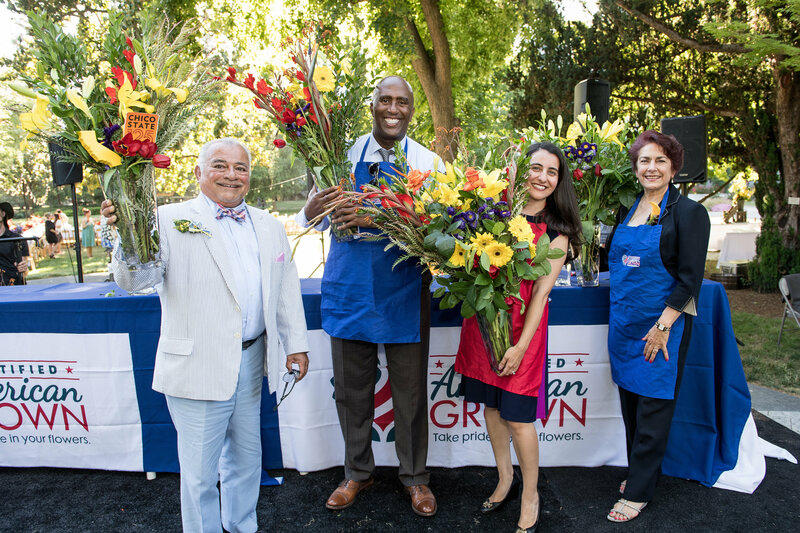 Battling it out with her fellow members in California’s State Assembly, Assemblymember Monique Limón showed off her floral design prowess, winning this year’s Floral Design Challenge hosted by the California Cut Flower Commission. 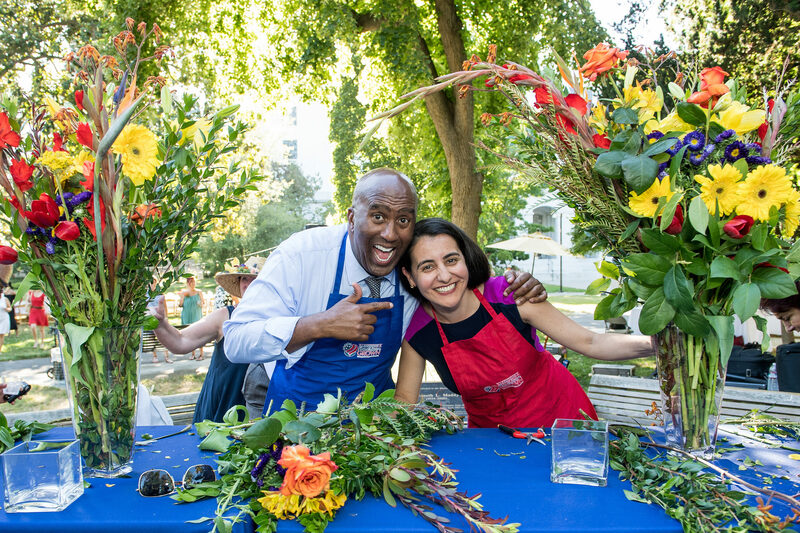 Members of California’s state assembly participated in the annual Floral Design Challenge hosted by the California Cut Flower Commission. Pictured left to right; Assemblyman Rocky Chavez, Assemblymember Jim Cooper, Assemblymember Monique Limon and Assemblymember Anna Caberello. Photo by Eye Connoisseur Photography. 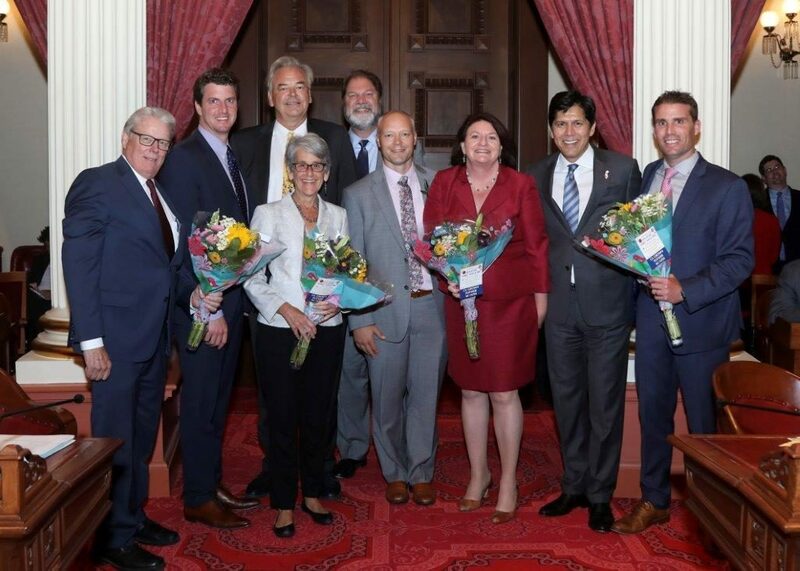 First held in 2016, the friendly design competition between legislators was created to help raise awareness for June as “California Grown Flowers Month,” and the value California’s flower-farming families bring to their communities and the economy. Contestants had just five minutes to create their designs and members of the audience voted for their favorites by placing a marble in the jar after designs were complete. Guests used marbles to vote for their favorite floral design. Photo by Eye Connoisseur Photography. 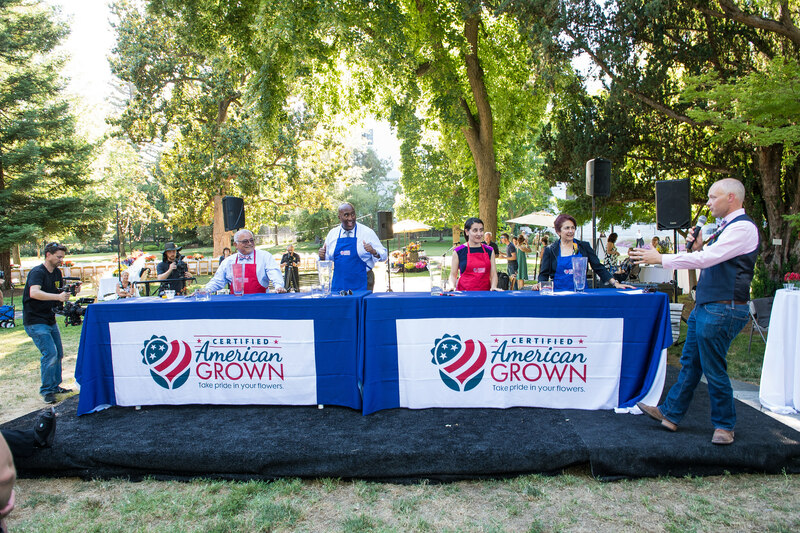 This year’s competition was held in conjunction with the American Grown Field to Vase Dinner Tour, which hosted over 150 people for a farm-to-fork style dinner on the lawn of the state Capitol. Assembly members had five minutes to complete their designs prior to judging. Photo by Eye Connoisseur Photography. Assemblymember Jim Cooper, the previous floral design champion, with this year’s winner, Assemblymember Monique Limón. Photo by Eye Connoisseur Photography. As the winner, Limón took home the coveted crystal vase. The vase will be displayed in Limón’s office and filled each month with flowers representing the Golden State. The winner of the last Floral Design Challenge was Assemblymember Cooper. This year’s contestants show off their designs at the end of the competition. Photo by Eye Connoisseur Photography. 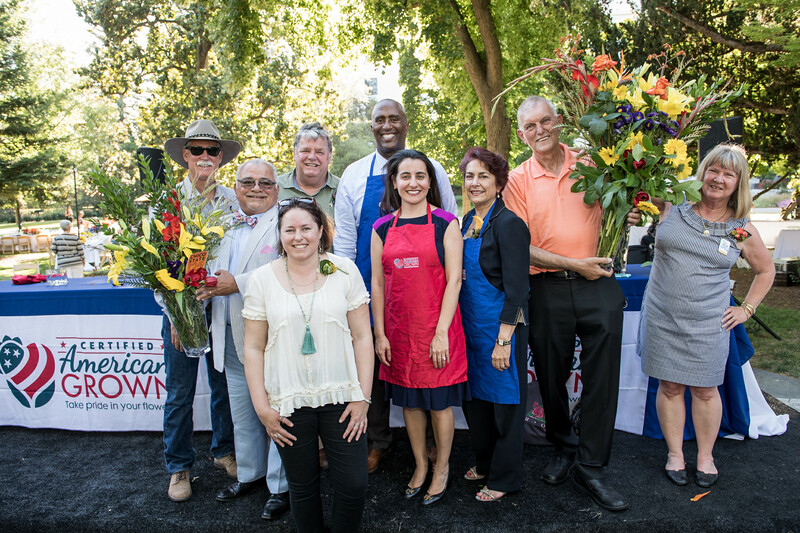 California flower farmers join with this year’s contestants after this year’s competition. Photo by Eye Connoisseur Photography. 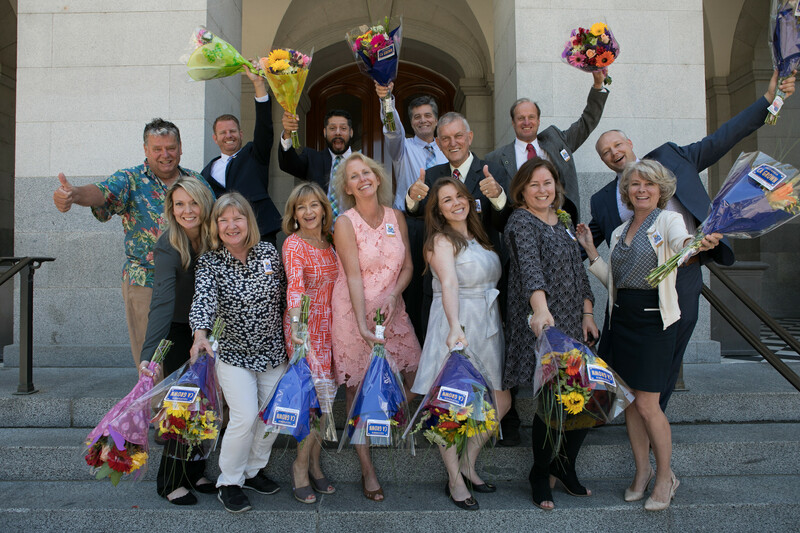 California’s flower farmers celebrating the declaration of California Grown Flowers Month on the steps of the state’s capitol. 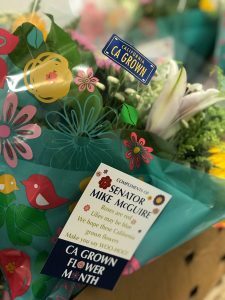 On June 11, the California Senate will officially declared June “California Grown Flowers Month.” The resolution is being put forth by Sen. Mike McGuire who represents the state’s 2nd Senate District. The resolution notes that the designation is designed “to recognize and honor the men and women of the California grown flower industry for their dedication and productivity,” and describes that statewide, flowers are grown across 701 million square feet, spanning the distance from San Diego through the Inland Empire to Carpinteria and north all the way to the Oregon border. California Grown’s mission is to connect Californians with the people who grow and produce their food. Soon, they’ll be doing so via a new marketing campaign that’s described as a love letter to California. The project will celebrate California agriculture through a digital media effort that includes live action and animated videos, and social media, among other approaches. 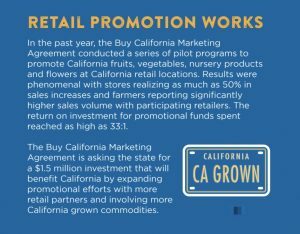 The goal is to pay homage to the folks that produce all of the state’s crops in a lighthearted and fun way, explains Nick Matteis, executive director for the Buy California Marketing Agreement. 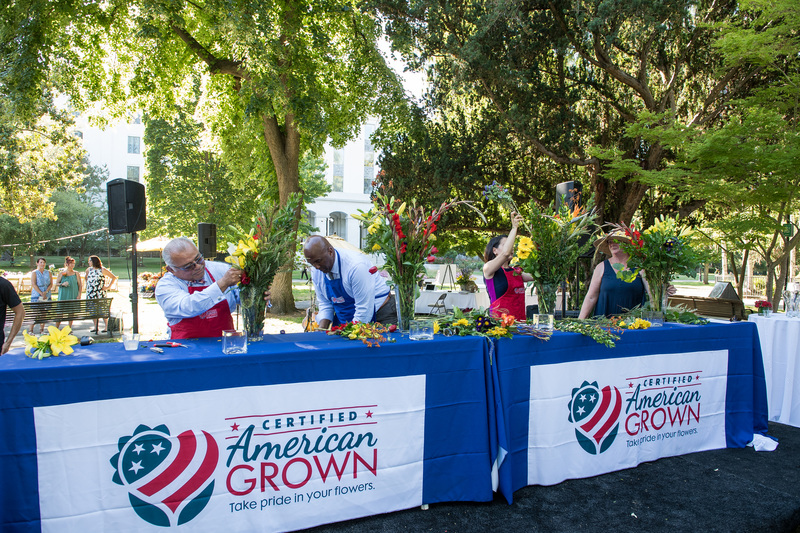 That will be achieved with video and images provided by ag organizations – including Certified American Grown and the California Cut Flower Commission – that will show the growing process from planting to growing season to harvest to distribution. “We’re excited about that fact that this campaign is a love letter from our farmers to the folks that enjoy the products. 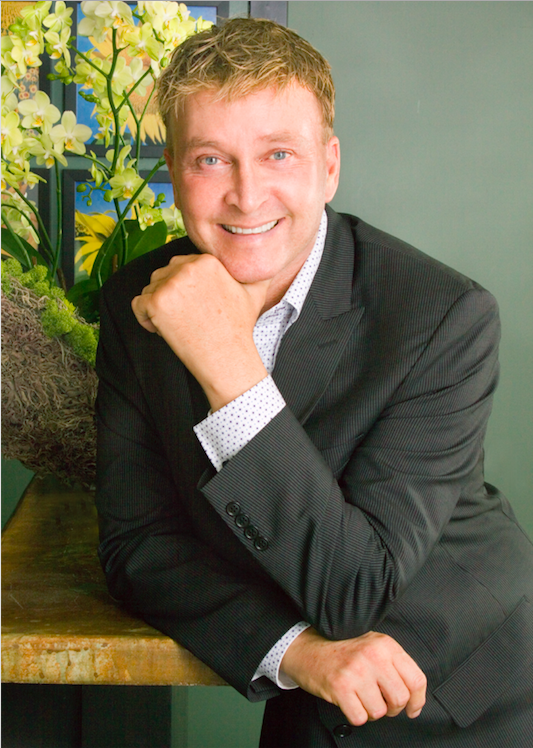 It’s a positive vibe on so many different levels,” Matteis says. Be sure to watch for glimpses of amazing California Grown Flowers when the campaign launches! 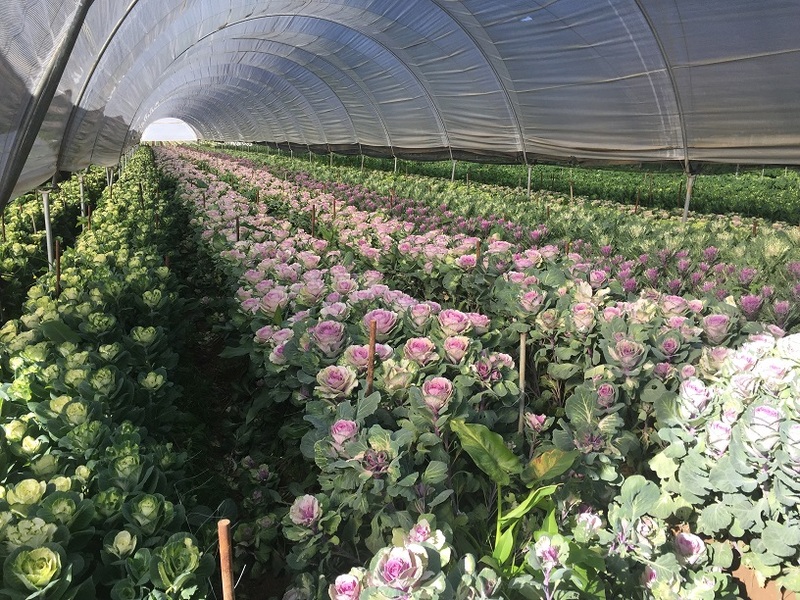 Kale growing in a CamFlor high tunnel. Take Inspiration From Them, Then Promote Women’s Day March 8! 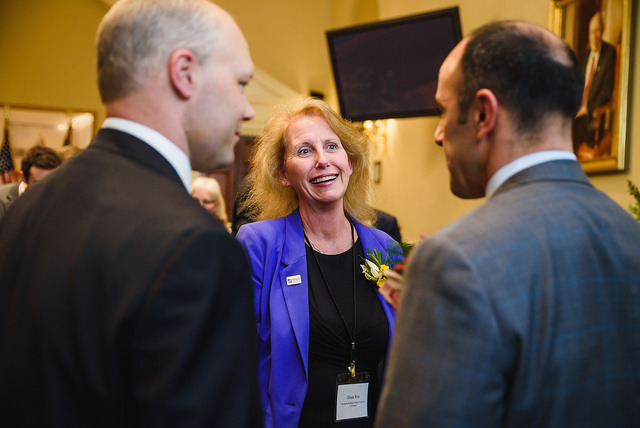 Diana Roy of Resendiz Brothers Protea speaking to Congressman Jimmy Panetta (right) during a reception in Washington, D.C. Photo by Nony Park of Ken Pak Photography. “I never seemed to have quite enough flowers in my own yard, so I was always asking neighbors if I could cut some of theirs,” she says. It’s not just floats that glide down Colorado Boulevard during the annual Rose Parade. 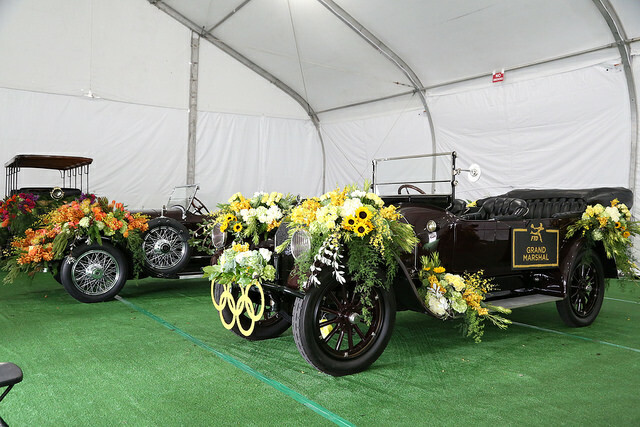 There’s also an incredible group of vintage and contemporary cars – and for the last 5 years, all were adorned in California Grown flowers. 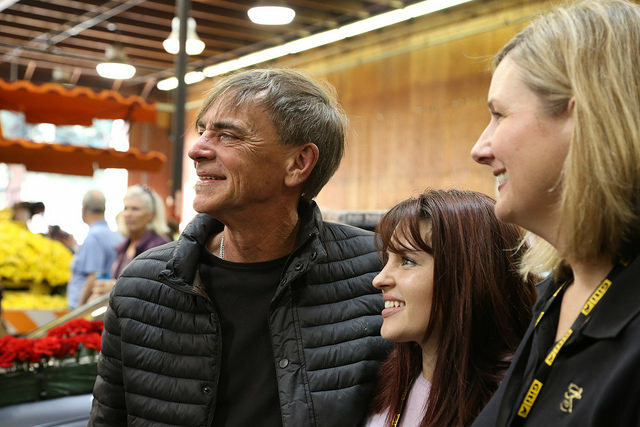 Kieth White leads the California Grown design effort for FTD and the Tournament of Roses Parade vehicles. The floral designs for the VIP parade vehicles are the handiwork of Keith White, AIFD, lead designer for FTD, and breathtaking doesn’t begin to describe them. Since 2006, White has arrived in Pasadena on Christmas Day; he begins working on the cars on Dec. 26, using “trade secrets” to be sure the vintage cars are protected as the flowers and foliage are added. Each car takes a full day to adorn, and this year there were two Honda pace cars and five vintage cars, each receiving unique floral designs. Kelly Shore was the featured designer at the American Grown Field to Vase Dinner at Scenic Place Peonies in July last year. 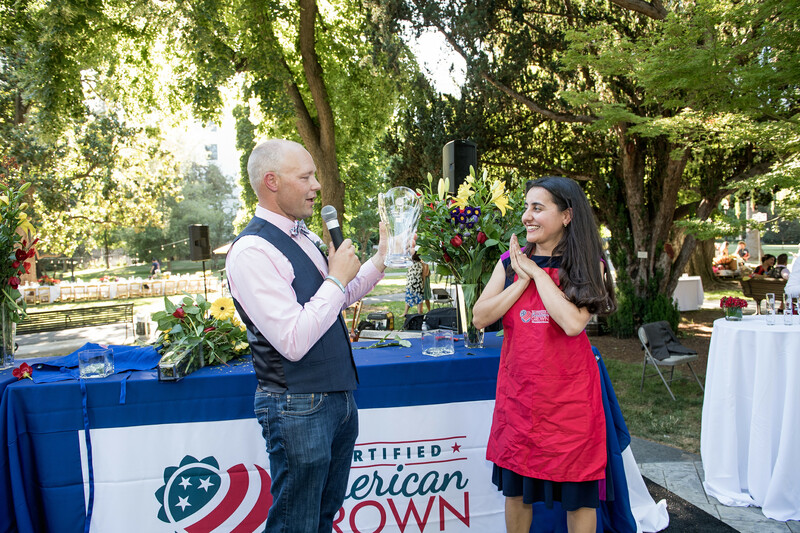 She taught a class prior to the event, encouraging the use and support for Certified Ameican Grown Flowers. 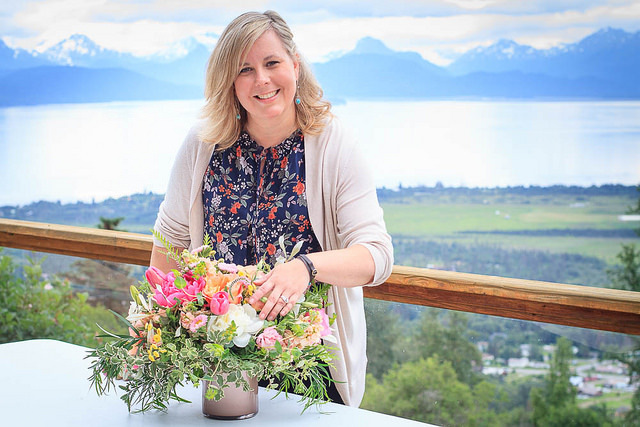 A week spent in Alaska with flower farmers was the tipping point for Kelly Shore, owner and lead designer at Petals by the Shore in Maryland. Shore was in Alaska to design the tablescapes for an American Grown Field to Vase Dinner being held at Scenic Peonies last summer. She went there with a job to do, but when she left Alaska 10 days later, her gut told her that her next job would be to consider an awesome possibility: Sourcing 100 percent of the flowers and foliage she uses in her designs from American flower farms. 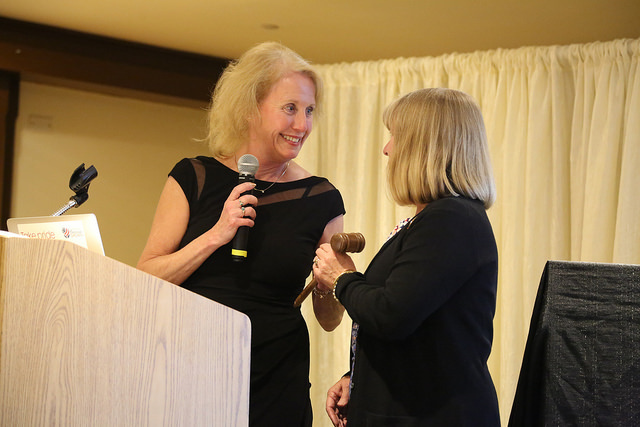 Past CCFC Chair Diana Roy of Resendiz Brothers Protea Growers, passes the gavel to June VanWingerden of Ocean Breeze Farms who was elected chair of the board for 2018. Photo by Linda Blue Photography. 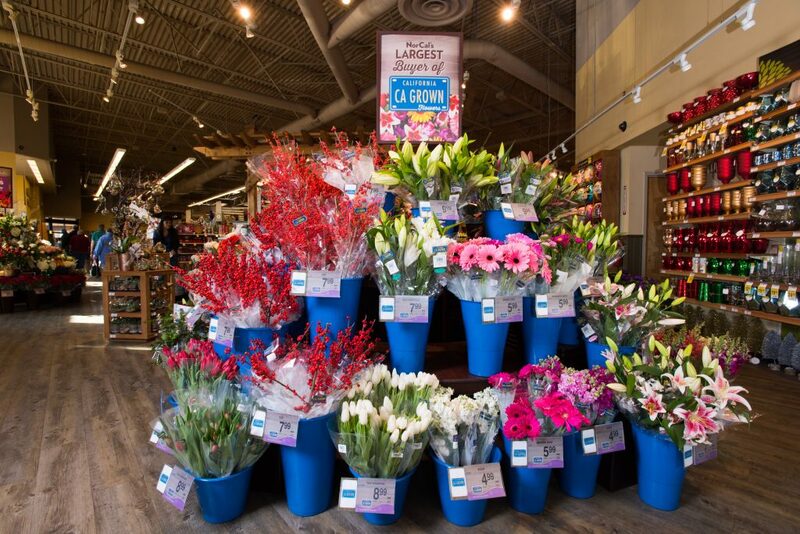 Customers who visit The Bouqs Company website might be surprised to see some smiling faces posted alongside the flowers and custom bouquets sold on the site. It’s a year-end tradition that helps us both remember where we’ve been and chart a successful path into the new year – the top 10 list, that is. And so as 2017 winds down, the California Cut Flower Commission (CCFC) is pleased to share our top 10 blog posts of the year. 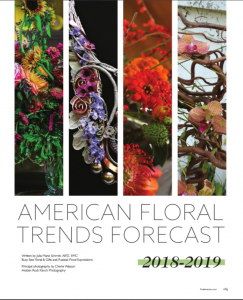 As you’ll see, the past year brought the flower industry growth, optimism, consumer awareness and a bit of anxiety toward to the end thanks to a round of wildfires. 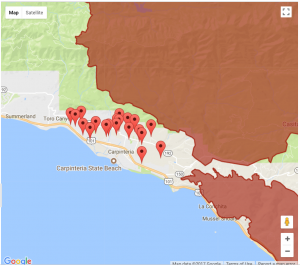 An interactive map highlighting the proximity of the fire to the flower farms in Carpinteria Valley was included in our number one blog post of the year. 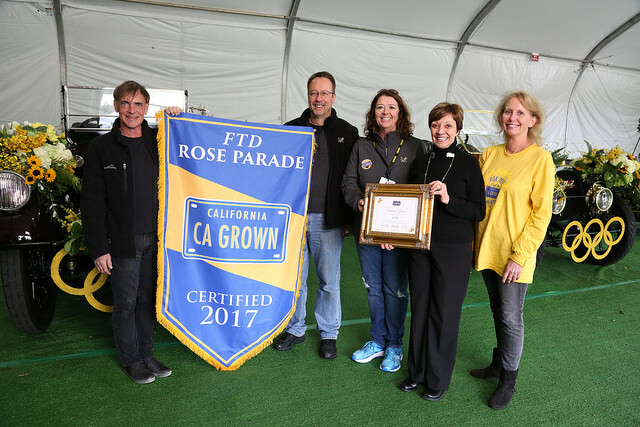 PASADENA, Calif., Dec. 27, 2017— Entries from Cal Poly Universities, FTD Companies Inc., Mane Attraction Drill Team and the Tournament of Roses Police Department’s motorcycle unit will all be adorned with California Grown flowers when they take to the parade route in Pasadena Jan. 1, 2018, for the annual Rose Parade. In an appropriate nod to the origin of the parade – created to showcase the bounty of what’s growing in California when the rest of the country is snowbound – the floral-adorned motorcycle unit will be the first entry in the parade, leading off the entire event. “The Tournament of Roses takes pride in supporting California Grown agricultural products showcased in the Rose Parade. The founding members of the Tournament of Roses began the parade to tell the world about our paradise. Now, 129 years later, we’re still making California proud,” said David Eads, executive director and CEO, Pasadena Tournament of Roses. for the 2017 Tournament of Roses and will do so again this year. 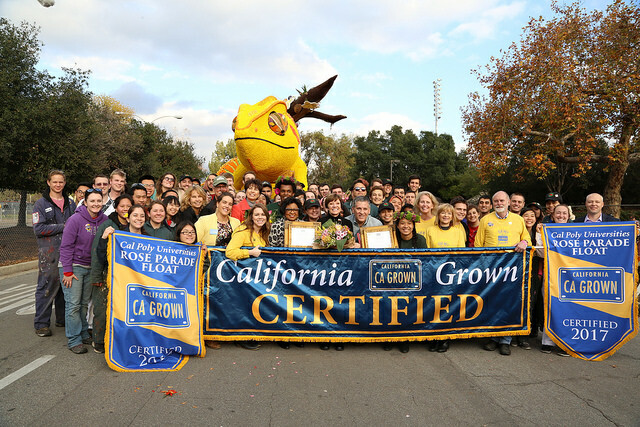 The four parade entries will receive their official California Grown certification at a ceremony officiated by California Secretary of the Department of Food and Agriculture Karen Ross on Dec. 31 in Pasadena. 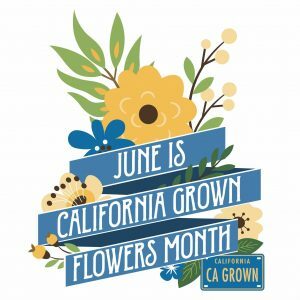 The California Grown Certification Program recognizes parade floats and entries decorated with more than 85 percent of cut flowers and greens from the Golden State. The ceremony will recognize Cal Poly Universities for the seventh year in a row and FTD for the fourth year. The motorcycle unit and the equestrian unit will be Certified California Grown for the first time. The eight Tournament of Roses Police Department motorcycles are expected to feature roses, iris and chamomile. FTD, the Official Floral Partner of the Tournament of Roses, has a 60-year history of participating in the Rose Parade. 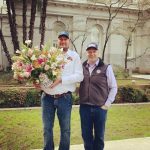 The storied floral and gifting company will use a variety of California Grown flowers to decorate its five VIP parade vehicles. 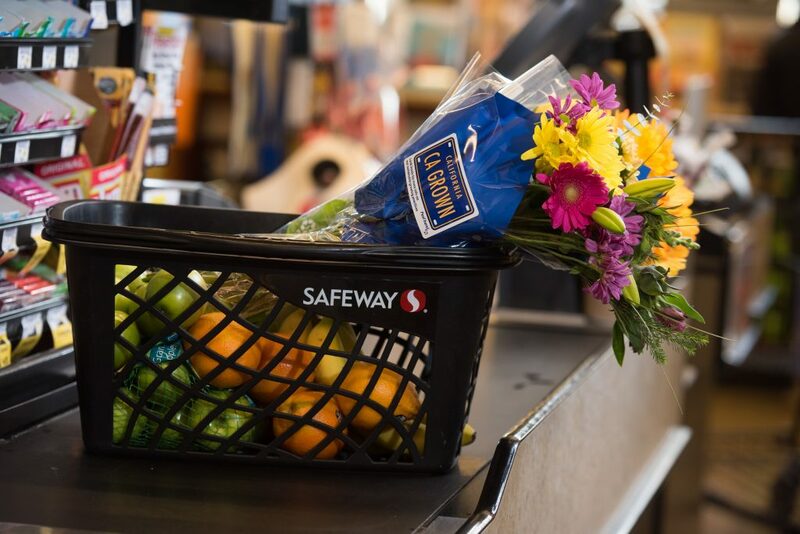 Beautiful CA Grown flowers will adorn FTD parade vehicles for the fourth year in a row. 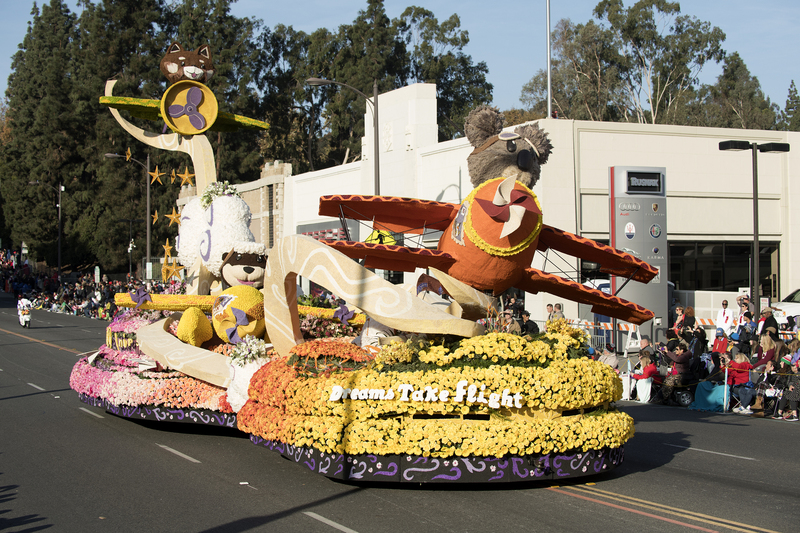 The float from California State Polytechnic University at San Luis Obispo and California State Polytechnic University at Pomona is titled “Dreams Take Flight” and will feature baby animals flying airplanes amid a whimsical landscape. 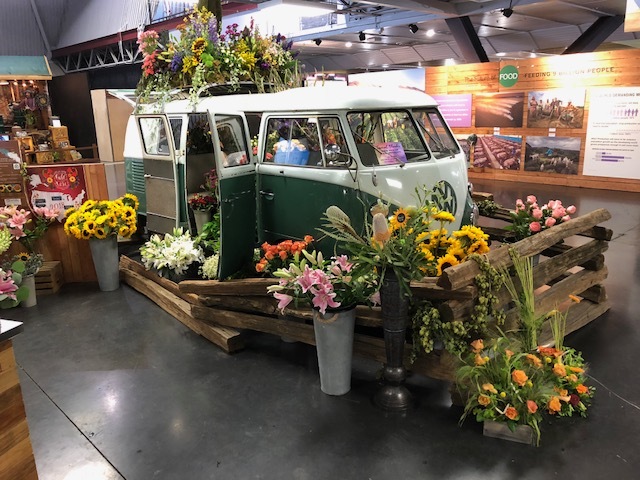 The float will showcase more California Grown flower varieties than ever before thanks to a deck design that allows for large mixed arrangements in addition to the chrysanthemums and gerberas that cover the float’s characters. 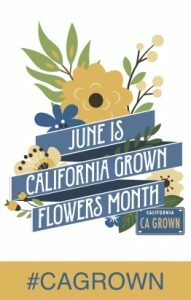 More than 97 percent of the float will be covered in California Grown flowers that were donated by many of the state’s flower farmers. Students at Cal Poly San Luis Obispo grew and dried the statice and straw flower used on the float. the certification of their 2017 float entry, “Dreams Take Flight”. 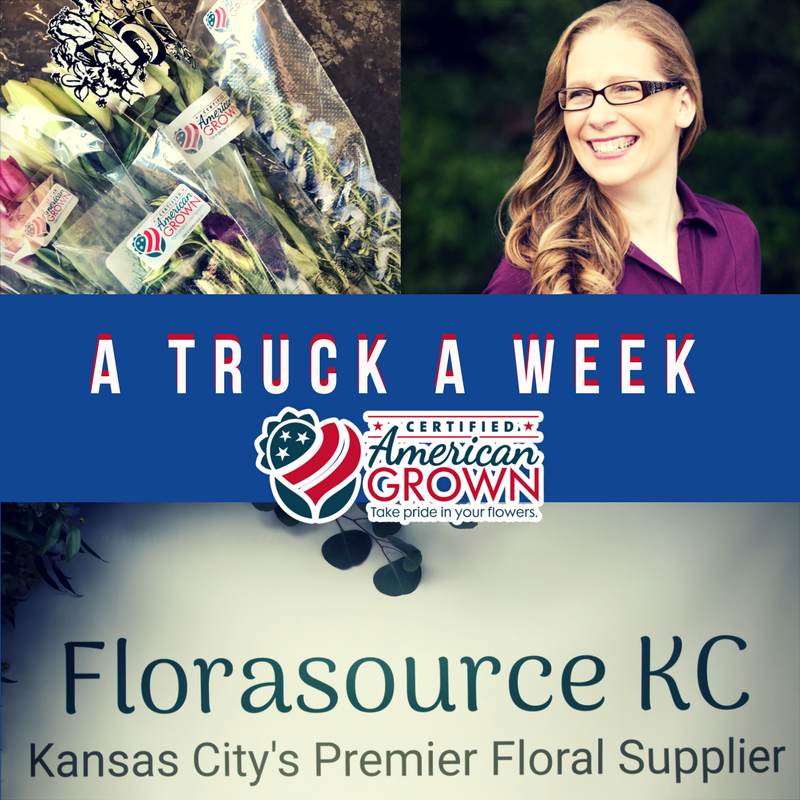 Andrea Grist, business manager for Florasource KC in Overland Park, Kansas, was preparing for a customer open house when she had a bright idea. 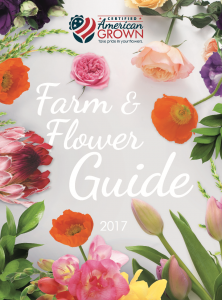 Why not have some issues of Florists’ Review available to hand out at the event?